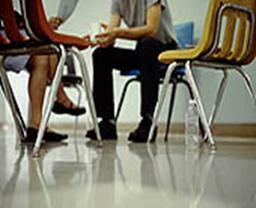 WHAT IS THE PURPOSE OF COUNSELLING ? Counselling is a social service designed for individuals or families whose ability to function independently has been affected by psychological, social or economic factors. Our target group for this service is TB AND HIV/AIDS PATIENTS and their families who need help to ensure their well-being and ability to function in everyday life. Our CARE departments’ aim for counselling is to shape or restore people’s independent psycho-social ability to function and, where required, to assess the conditions of the social environment. In depth assistance is given to needy TB and HIV/AIDS patients, ex-patients and their families. This support is provided through allocation of supplementary food parcels, baby milk, money for ID’s and transport and allocation of good second hand clothing. WHERE DO SANTA JOHANNESBURG OFFER THESE COUNSELLING/CLINIC SERVICES ? At our Head Office in and in 8 Municipal Clinics in JHB. HOW DOES COUNSELLING BENEFIT YOU? · Counselling is an activity that simply helps those who (are depressed/ troubled/insecure/ill/career seeking/low in confidence) seeking help to identify things themselves. · Can help you to clarify your thoughts and feelings so that you can arrive at your own decisions, or even make major changes in your life. · Can help with self-exploration and to develop your self confidence to approach things from a different angle. · Counselling offers the opportunity for you to explore different ways of behaving in your life and move towards more effective ways of coping.